Here is a beautiful flower with 8 petals. 2. Single crochet in same stitch from the last row. 5 Chain stitches. Single crochet into the next 3rd stitch. Repeat until you have 8 chain space. Always slip stitch at the end. 3. Slip stitch into the first chain space. 2 chain stitches. Double crochet. 3 chain stitches. 2 Double crochet. 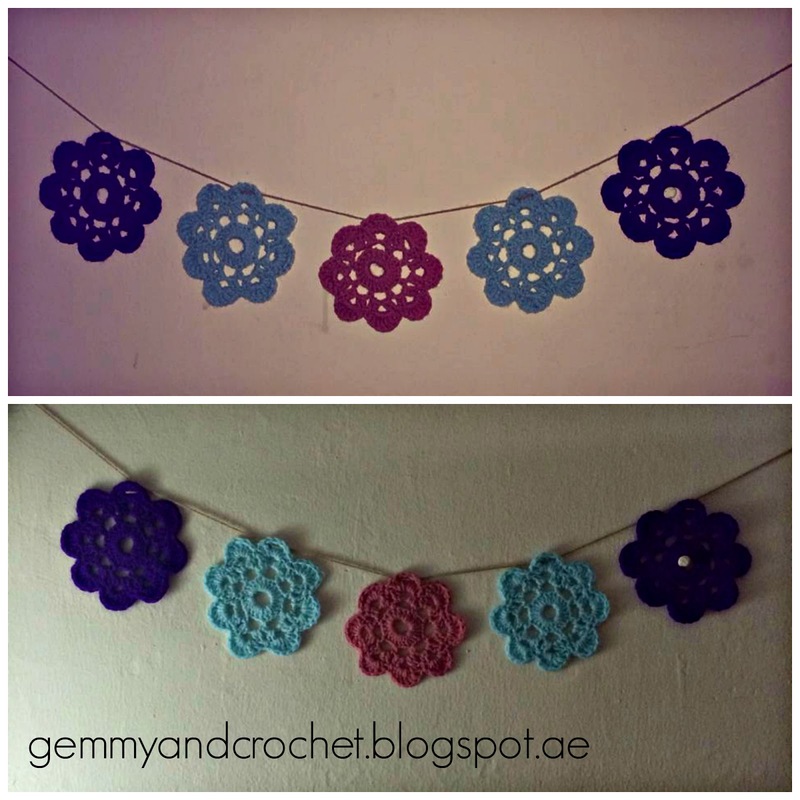 Repeat for the remaining chain space. Slip stitch the last DC to the 2 chain stitches. 4. Single crochet in the same stitch. 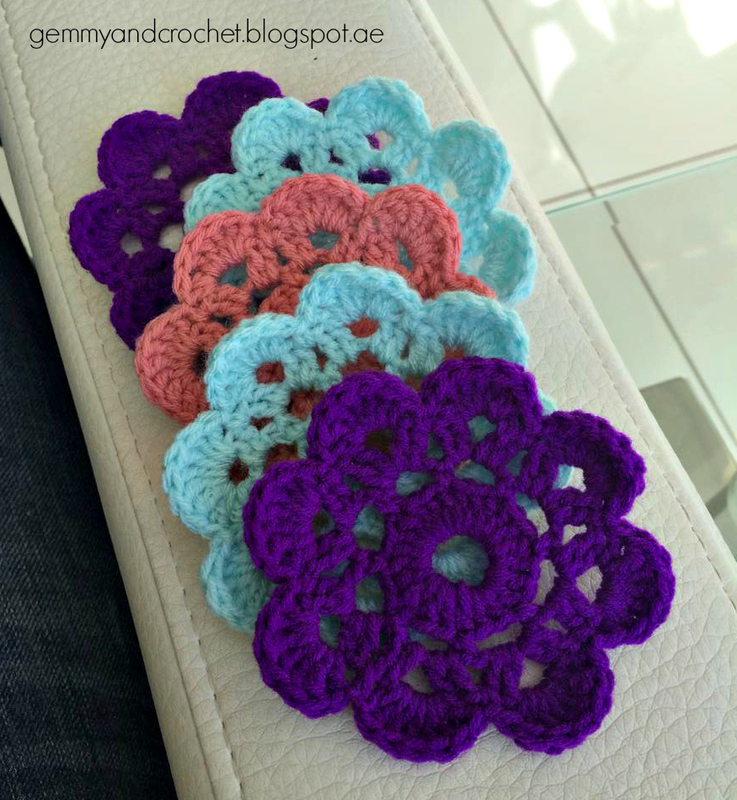 Double crochet into the chain space. 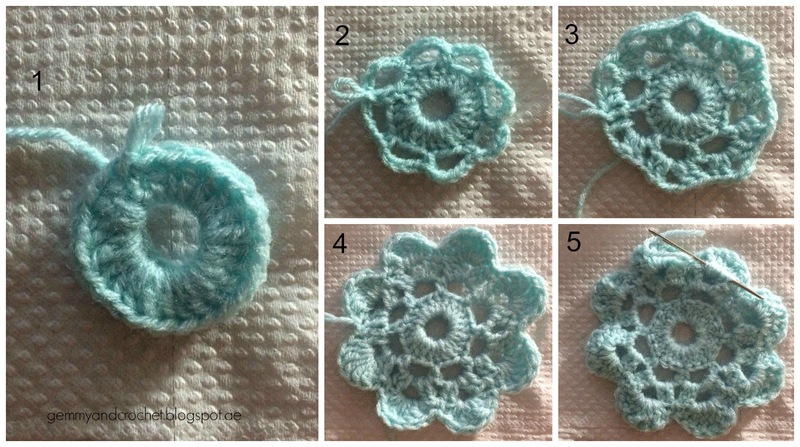 5 treble crochet. Double crochet. Single crochet into the middle of the 4 double crochet. Repeat for the remaining chain space. 5. 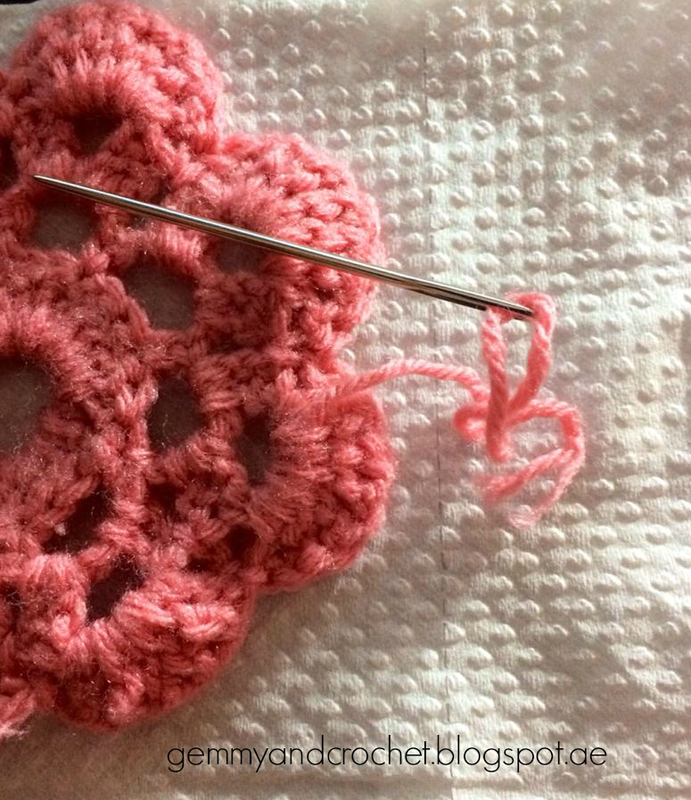 Using needle yarn, sew the excess yarn to keep it neat and clean at the back side of the flower. Playing around. Love how fabulous they are on my wall. *Sorry for the low quality of the photos, i used my phone to captured it.